“I don’t want anyone else to have to go through this alone”. These were the words that launched the Corporate Alley Cat. Powerless, frustrated, angry and isolated. This is how I felt when I was going through my situation. ​Horrific is how I describe the situation. ​EMPOWERED is how I came out of the situation. Check out the video above from our Corporate in Color event that was hosted by Google. I share “my story” and why I think it is more important than ever to build a safe place to share and learn strategies to navigate the corporate arena. ​This is why I also created the Alley, our newest resource, so you don’t have to manage your workplace challenges alone. To provide expert guidance when you are uncertain about your next move. To reaffirm your power. 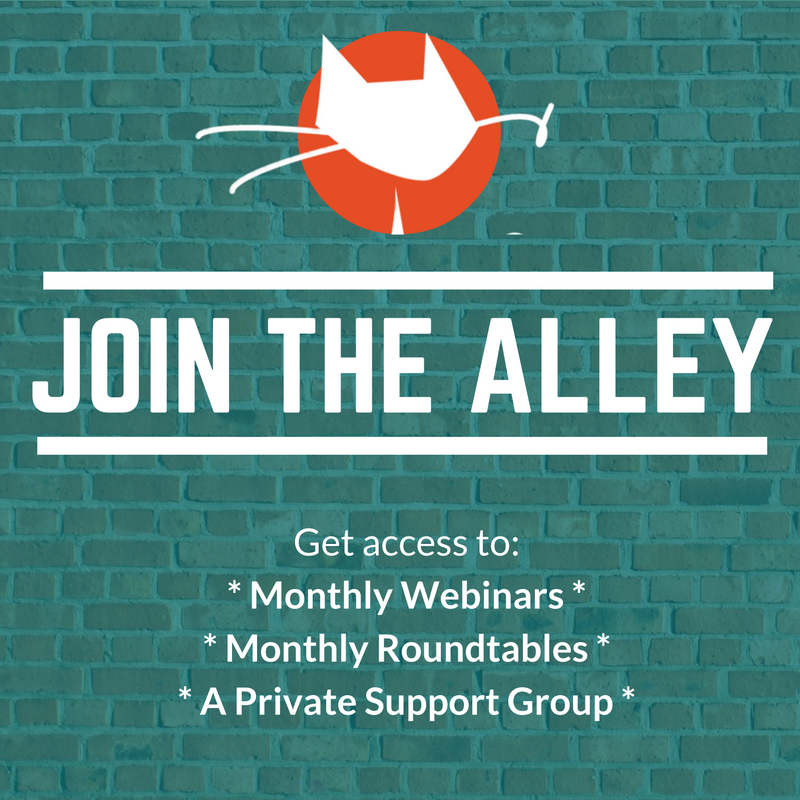 The Alley is a membership community that provides you with a private online community for sharing and learning, monthly master classes with corporate executives and leaders, a monthly roundtable with experts where you can get answers to your most pressing career questions and access to premium content 24/7. Check out our newest resource here, and join The Alley today! We are here to support you.